Delaware residents are the victims of deceptive business practices associated with a green energy scheme resulting from elected officials’ sweetheart deal with a fuel cell company, policy analysts and academics argue. Bloom Energy had pledged to create 900 full-time jobs in Delaware by Sept. 30, 2016, and to continue employing these workers for at least seven years. But a filing with the U.S. Securities and Exchange Commission from Bloom Energy’s initial public offering in June shows that as of March, it had only 277 full-time employees. “Bloom has been able to milk Delaware taxpayers and ratepayers for massive subsidies, gain preferential treatment on multiple fronts, and avoid rules that are rigorously applied to other industries,” energy researcher Paul Driessen said during an event Friday at The Heritage Foundation’s headquarters on Capitol Hill. The Delaware General Assembly extended financial inducements to Bloom Energy through legislation in 2012, a major topic during the panel discussion at Heritage, as was what Driessen and other speakers called preferential treatment from state regulators and other government officials. The Sunnyvale, California-based company manufactures solid oxide fuel cells that use an electrochemical reaction to transform natural gas into electricity. In April 2012, Bloom Energy opened a manufacturing facility in Newark, Delaware, on a site owned by the University of Delaware that previously was occupied by a Chrysler assembly plant. 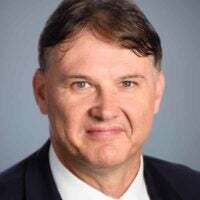 David Legates, a professor of climatology at the University of Delaware, told the Heritage audience that Bloom Energy isn’t a genuine green energy company because its fuel cells use fossil fuels and release more carbon dioxide than traditional natural gas plants. Bloom Energy’s fuel cells also run on methane gas, which produces hazardous waste, he said. Even so, the company qualifies for renewable energy credits under Delaware’s Renewable Energy Portfolio Standards Act, which calls on utilities to draw 25 percent of their energy from renewable sources by 2025. The company also is exempt from the state’s hazardous waste rules. The statement is misleading because it “ignores the presence of hazardous waste in the methane source,” he said. But because Delaware officials accepted the company’s description of its manufacturing process, state rules governing hazardous waste aren’t applicable, he said. In 2012 legislation amending Delaware’s Renewable Energy Portfolio Standards Act to allow fuel cells to be used as a renewable energy source, several provisions worked to the disadvantage of state residents, Legates said. The law calls for a mandated surcharge, described as a tariff, on the bills of every Delmarva Power ratepayer that state lawmakers guaranteed to Bloom Energy for 21 years. The law also includes a clause that says Bloom Energy is entitled to all of the 21-year tariff if the law ever is repealed. Legates described the arrangement between the state government and Bloom Energy as a sweetheart deal. Delaware government officials charge Bloom Energy annual rent of $1 for its Newark manufacturing plant, and pledged to spend more than $16 million to upgrade the facility, he said. Newark-based Delmarva Power, a subsidiary of Exelon Corp., provides electricity and natural gas to customers on portions of the Delmarva Peninsula in Delaware and Maryland. The Daily Signal sought comment from Bloom Energy, but had not received a response by publication time. John Nichols, a retired financial planner from Middletown, Delaware, who filed two lawsuits challenging Bloom Energy’s business practices and government policies that facilitate those practices, also spoke during the Heritage event. In June 2012, Nichols sued then-Gov. Jack Markell, a Democrat, and members of the state Public Service Commission. Nichols argued that the state’s deal with Bloom Energy is unconstitutional. In January 2013, Nichols appealed a decision by the state Coastal Zone Industrial Control Board that he didn’t have standing to challenge the permit issued to Bloom Energy by the state Department of Natural Resources and Environmental Control. Nichols argued that the permit violated Delaware’s Coastal Zone Act, which regulates industrial activity in specific areas. The courts ruled that he did not have standing in either his state or federal lawsuit. That’s because government agencies are responsible for consequences to ratepayers and taxpayers that are beginning to gain attention, he said. Although the state’s favoritism to Bloom Energy deserves further exposure and investigation, the company also benefits from “deep state” relationships at the national level with government and corporate figures, chemical engineer Lindsay Leveen told the Heritage audience by telephone. Leveen, who is a consultant to corporations on energy deregulation and writes for the website Green Explored, reviewed the history of Bloom Energy and what he called its “collusion” with the internet company Google. John Doerr, chairman of Kleiner Perkins in 1999, invested in Google and sits on the tech giant’s board. Doerr helped to organize financial support for Bloom Energy on behalf of Kleiner Perkins in 2002, Leveen said. In July 2008, Google became Bloom Energy’s first commercial customer. Three months earlier, the American Society of Mechanical Engineers had released a report funded by the Department of Energy concluding that Bloom Energy “had by far the worst fuel cell on market,” Leveen said in his own slide presentation. Bloom Energy installed four “Bloom Boxes”—devices used to convert natural gas to electricity—at Google headquarters, but only one of them had to operate at limited capacity for 30 days to be deemed a commercial success, Leveen said. Leveen called for executive branch agencies to investigate Bloom Energy, including the Federal Trade Commission, the Securities and Exchange Commission, and the Environmental Protection Agency. 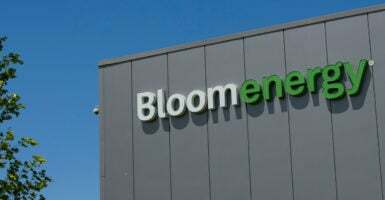 Despite financial setbacks, Bloom Energy remains afloat because it received government subsidies, tax breaks, and other favors from high-ranking government officials, Driessen, a senior fellow with the Washington-based Committee for a Constructive Tomorrow, said during his presentation. CFACT advocates free market solutions in energy policy. The Delaware state legislature has allowed Bloom to operate under a unique definition of renewable energy that lets it qualify for special treatment and subsidies by claiming that its equipment could run on biofuels like methane from cows or landfills even if they never have done so, and even if they’ve always run solely on natural gas and even if they generate hazardous waste in the process. Bloom Energy’s federal investment tax credit was eliminated in 2016, but Senate Minority Leader Chuck Schumer, D-N.Y., worked to restore the tax credit and make it retroactive to the date it ended, Driessen said. Sens. Tom Carper, D-Del., and Richard Blumenthal, D-Conn., helped Schumer revive the tax credit, he said. Driessen cited figures showing state and federal officials have given fuel cell makers $3 billion in subsidies over the past decade, with $1.5 billion going to Bloom Energy. Even with this assistance, fuel cell companies lost $6 billion and Bloom lost $2.4 billion, he said. You might ask how do they get away with this? Actually, the formula for success is pretty simple. Invoke the magical, infinitely malleable terms climate change, renewable energy, sustainability, and environmental protection, and you can pretty much deceive, exaggerate, fabricate, and manipulate all you want. Few difficult questions will be raised, little transparency will be required, and no accountability demanded.